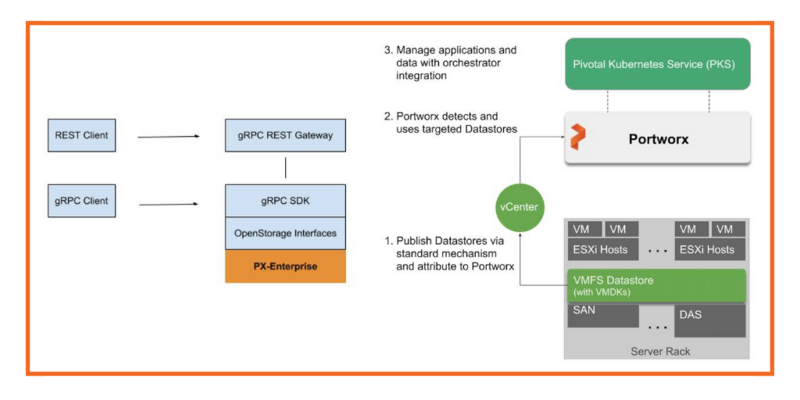 With the brand new software development kit for OpenStorage (Portworx’s open source control plane solution), PX-Enterprise provides a programmable storage system integrated with application workflows. Without any outside help, developers will be able to programmatically determine how storage is allocated, consumed, encrypted, backed up and managed across multi-cloud environments. To further automate processes and workflows, they will now be able to define I/O levels, how snapshots are created, and how migration to different server clusters or different clouds is managed. All in all, the new SDK allows them to meet their unique business needs by closely integrating application and data management workflows programmatically. 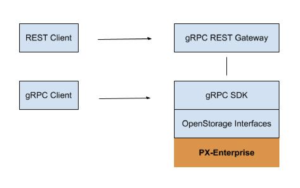 As shown in the architecture above, the OpenStorage SDK is based on gRPC, allowing clients to be automatically generated in multiple languages satisfying language requirements for our customers. The SDK also provides a gRPC REST Gateway which automatically changes REST requests to gRPC. More information about this architecture including installation, tutorial and API reference can be found here. 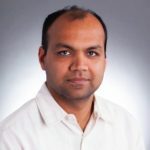 In public cloud environments, auto-scaling storage along with compute has been a big boon for customers as it enables them to elastically scale the infrastructure depending upon business needs. It has not been that straightforward for private cloud users who use vSphere and are now adopting Kubernetes for containerized workloads. PX-Enterprise 1.6 adds automatic storage provisioning for vSphere and PKS private clouds. This allows vSphere users to decouple compute from storage and scale compute without worrying about data availability or migration. 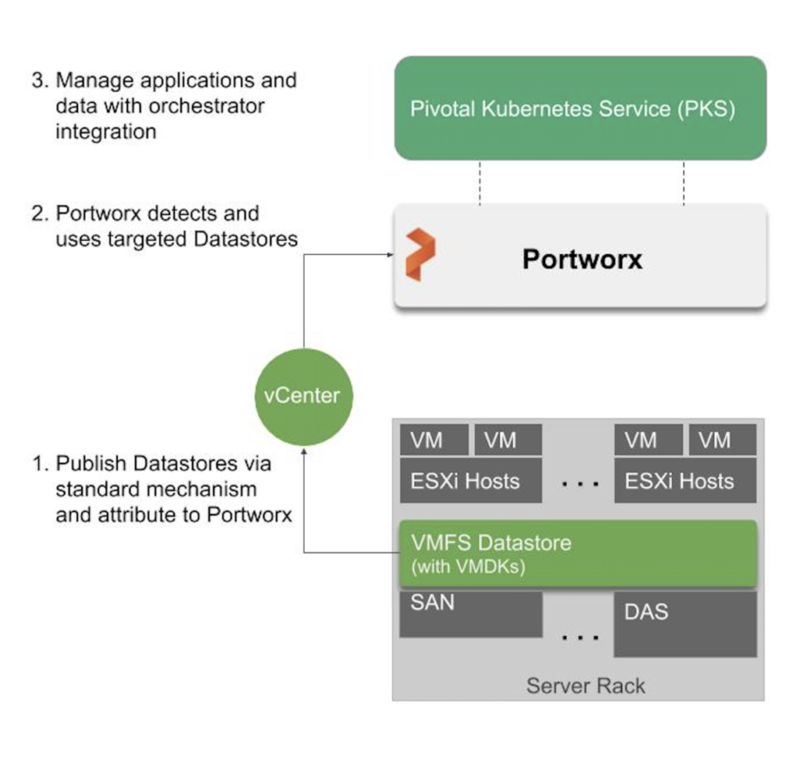 Any stateful application running on PKS cluster can now be scaled up and down seamlessly when backed by Portworx volumes as shown below. This feature works for both scenarios when customers are using local datastores or shared datastores with vSphere as described here. This drastically simplifies operations in private clouds for automating deployment and scaling by specifying the storage requirements using standard Kubernetes deployment specifications. Documentation and release notes for PX-Enterprise 1.6 are available here. To our customers who helped contribute to this release by providing use cases and requirements or by testing early versions, we’d like to say a sincere thank you! To everyone else, we hope you’ll try it out and tell us what you think.